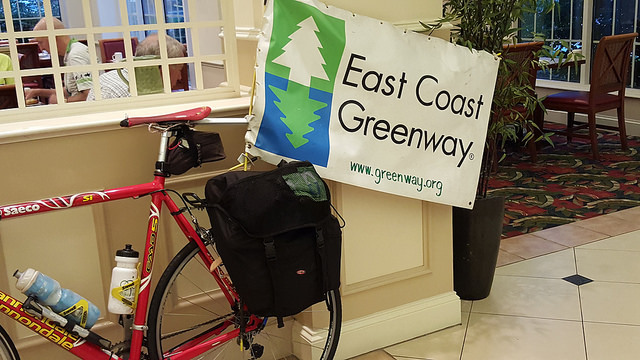 The good news about the weather – is that Hurricane Joaquin brought us a wonderful tail wind. Winds from the north east took the edge off of the rain. 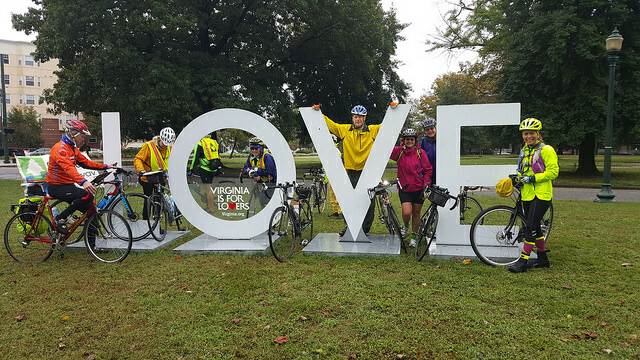 Riding through Fredericksburg you couldn’t help but to notice the ferocity of the Rappahannock river – being dumped with water for the prior 4 days. We didn’t notice any flooding of the roadways, and eventually made our way to higher grounds through numerous civil war sites, and many other attractions that begged for photo opportunities. Road – missing it’s bridge! park lands and trails and the occasional swim crossing when a bridge it out. Just kidding on the swim crossing – but somewhere south of Fredericksburg and around mile 20 our planned route was missing it’s bridge. Riding with a very easy going group of cyclists, a bridge out was not a problem, but more of a photo opportunity followed by a bicycle opportunity to ride more miles. 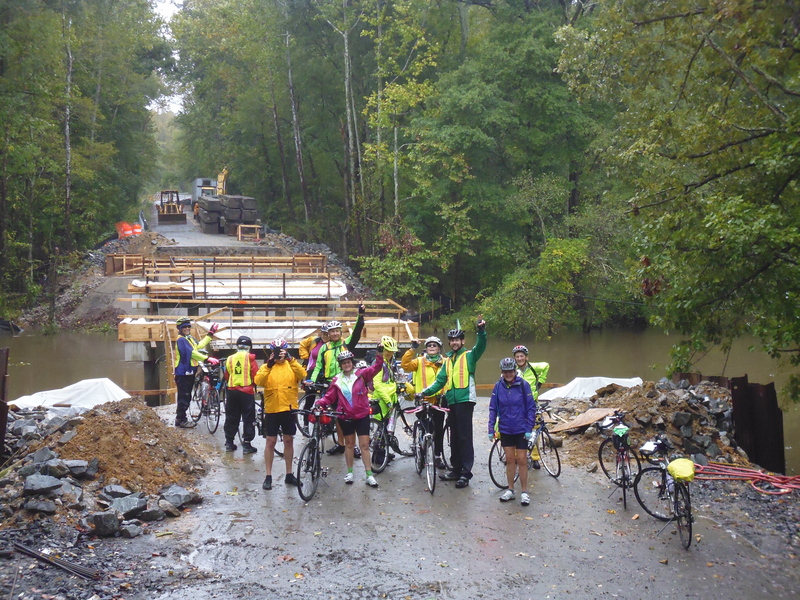 To continue riding southbound – we added close to 10 miles to the day’s rainy ride. Back on our planned route, we mixed in more lightly traveled roads, and eventually met up with Route 1. Likely due to the inclement weather or possibly due to the shortage of humans in rural Virginia – Route 1 was lightly traveled. We weaved back into rural farmland, and had our first encounter with dogs. The first encounter went extremely well – because the dogs were contained by fences. The second encounter with a very large pitbull did not include the fences, but for some unknown reason, the dog miraculously stopped short of becoming one with our legs. This gave us a much needed energy boost, and I noticed an uptick in our group’s riding cadence. 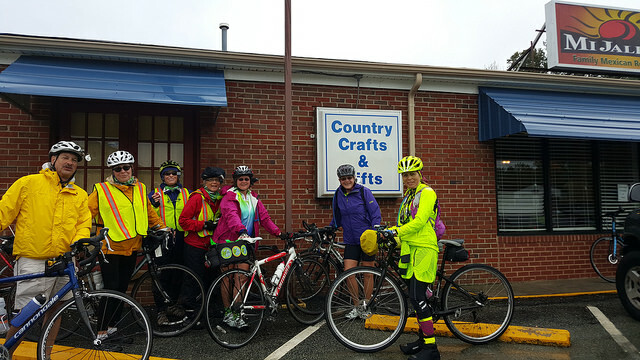 Our group of riders made it to Ashland VA – for a much needed lunch stop around 1PM. 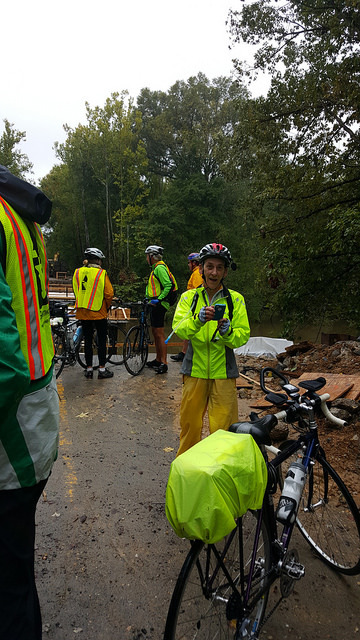 While some roadways gradually became busy with car traffic as we closed in on Richmond, the traffic was short lived as we returned to routes with less cars. 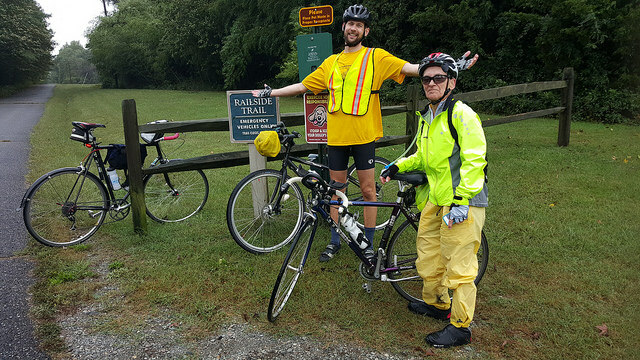 I have to say the first day of riding, albeit a long one (nearly 80 miles) with rain the entire time — was still a pretty amazing ride.